Lilacs grow best in full sun and well-drained soil. They prefer neutral soil with a pH range of 6-7. 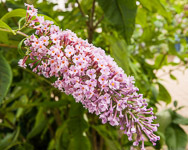 Many soils in the northern New Jersey area tend to be on the acidic side so lilacs may benefit from a handful of ground of limestone applied every other year. Lilacs also benefit from a spring application of fertilizer. Use an all-purpose, granular fertilizer such as 5-10-5 or 10-10-10 and follow the directions on the package. Do not use a high nitrogen (lawn) type fertilizer as it inhibits flower bud formation. Water your plant well after fertilizing. Lilacs resent competition from other plants, so keep the base well weeded and cut back other plants that may be crowding out your lilac. Two to three inches of mulch at the base of the plant will keep down weeds and hold in moisture. 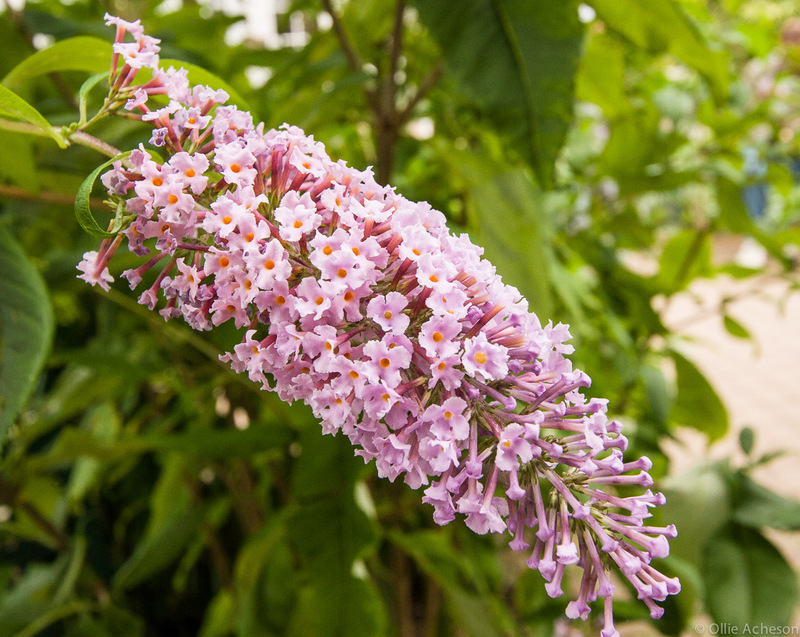 While lilacs are a tough and long-lived plant, they appreciate regular watering during a dry spell or drought. While the delicate beauty and splendid colors of Japanese Maples have delighted Western gardeners for almost two centuries, they have been revered in the East for over thirteen centuries. Native to Japan, China and Korea these trees do best in light shade and do not like to be dried out. Plant them in soil that has a fairly high content of organic matter and is moist, but well drained. Older, established plants can take some drought. Full sun and winds may burn the leaves, especially the variegated varieties. 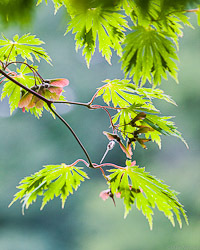 Most Japanese maples are hardy to Zone 5. Fall is a spendid time in the garden where many varieties display shapes and colors that rival the better-known maple varieties. When planning your garden, think about a number of these plants showing which show blossoms and foliar color from August through November. The plants in the following table may all be seen at the Frelinghuysen Arboretum. The following table gives times to bloom for forcing branches of local trees and shrubs when cut at various dates. Experienced gardeners know that many plants continue their displays throughout the winter, showing interesting shapes, bright berries or winter blooms that help make up for the loss of summer's bright flowers. Check out this list of Plants for Winter Interest. Yes, you can - grow Cannas! Cannas are tuberous plants with colorful tropical looking foliage and brilliant, lily-like flowers. The leaves may be green, yellow, purple or multi-colored with stripes, marginal markings or blotches. The flowers come in colors of white to ivory to shades of yellow, orange, pale to deep pink, apricot, coral, salmon and a variety of reds. Pruning conifers or needled evergreens incorrectly can be disastrous to the appearance and health of your trees. To understand how evergreens should be pruned, you must know how and where they produce new growth. Needled evergreens fall into two basic groups which are determined by their branching pattern; whorl-branched and non-whorled or random branching.